Detail: Oil on Canvas.24 x 31 1/2 in. (frame: 30 x 38 in.) Signed, and Inscribed in Cyrillic on the reverse. Alexander Averin was born in Noginsk and trained under Dimitry Yorontov. 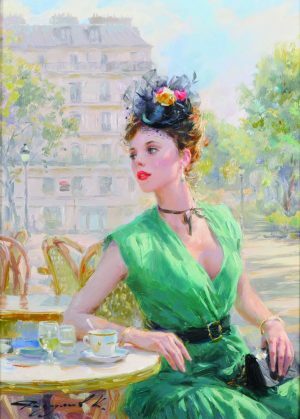 He graduated at the Moscow Fine Arts School and is a member of the Moscow Artists Union. Averin is specialises in painting in a realistic style, reminiscent of the late 19th century Russian romantic school. He loves to paint in the open air and with many colours, allowing him to express his very active imagination. 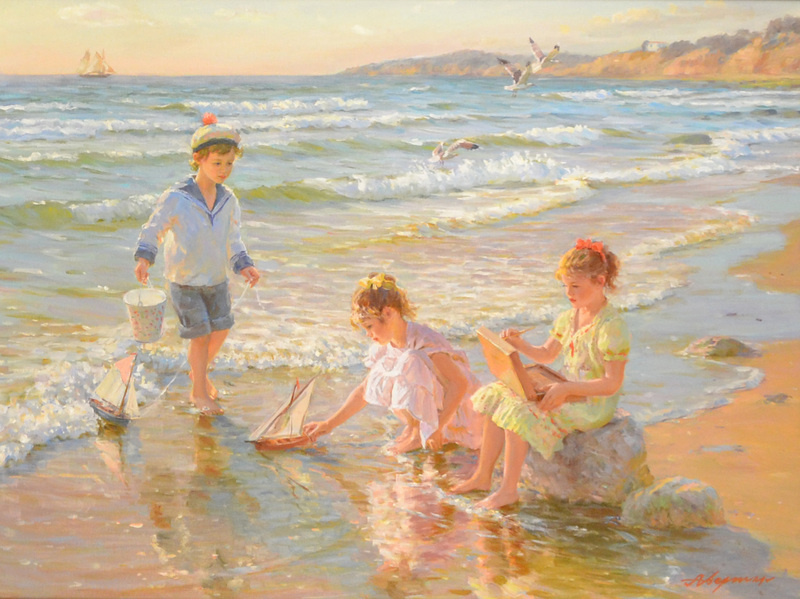 Subjects include children playing on beaches and flower meadows. His daughter was his model when she was young, and today most of his models are members of his family. He lives and works in Moscow. 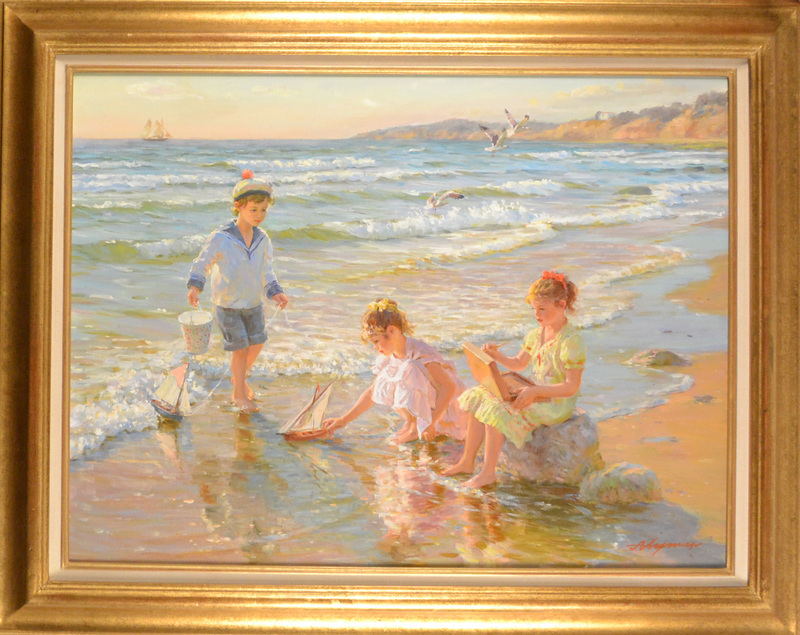 Averin paintings are in many private collections in Europe. 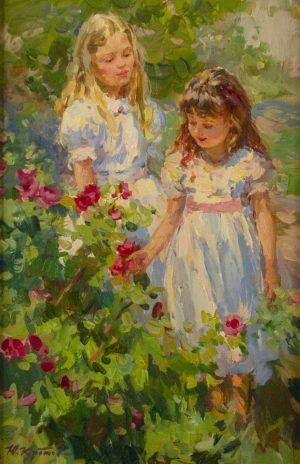 We have known Alexander Averin for 15 years and watched his success grow in Europe, and he now achieves high prices for his works of children playing at auction in Paris, Copenhagen and in England.